If you showed up at a Porsche club meeting even 20 years ago with a 914, you likely would be viewed as barely qualifying for membership. If the car was a 914/6, well that was a bit different. 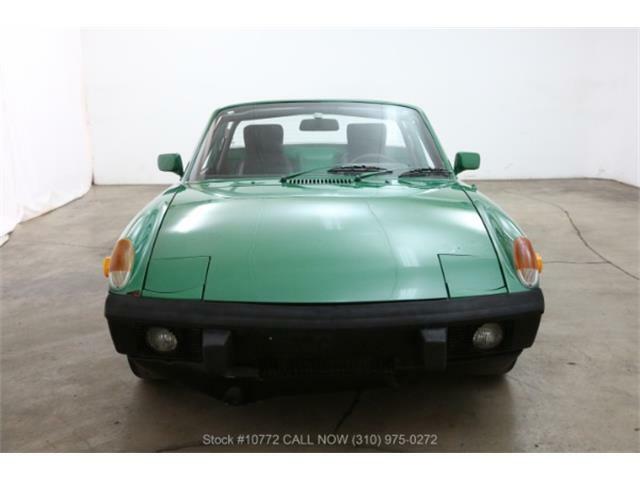 But with a standard four-cylinder 914, you were basically tolerated and mostly ignored. It’s funny how the passage of time changes people’s perspectives. During the past few years, the mid-engine Porsche 914 has had quite a renaissance, becoming a bona fide collectible Porsche right alongside the 356 and the 911. 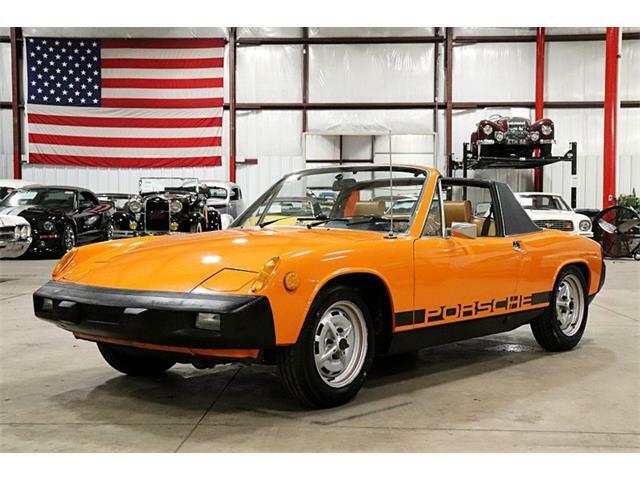 In fact, the Porsche 914 was celebrated a few years back at the Amelia Island Concours d’Elegance, where 10 of these great little cars graced the field and drew good-sized crowds to see them. 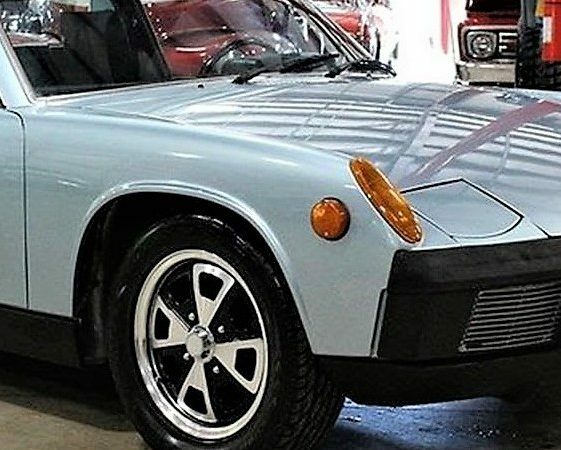 Those of us who owned 914s before they were trendy know that these were terrific Porsches, offering good performance and exceptional handling, and they were well-deserving of the Porsche name. So what if the engine was developed from a VW powerplant? So was the 356’s engine. The 914 also boasts a storied competition history, winning races all over the world, including a GTS class win at the 1970 24 Hours of Le Mans. 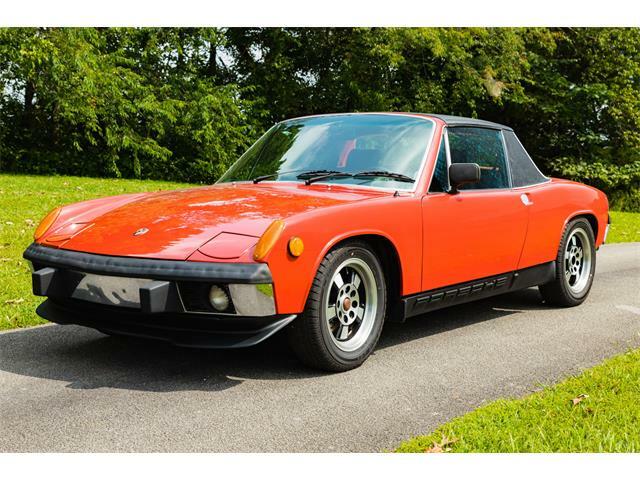 Over the past few years, people have “discovered” the 914, the result being that it is getting harder and harder to find one worth buying for an affordable price. 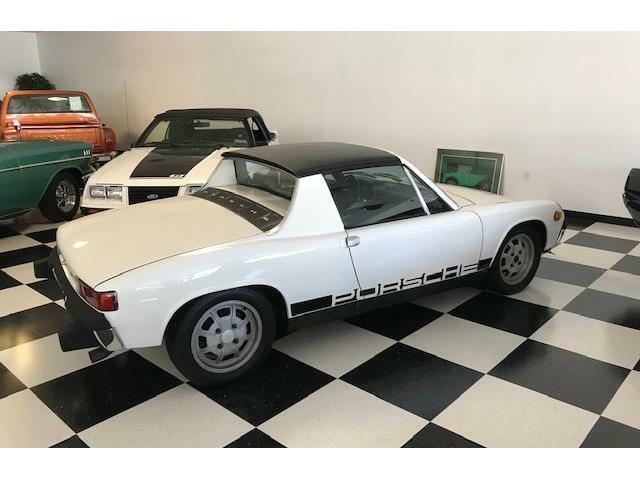 The Pick of the Day is a 1974 Porsche 914 1.8 that is still fairly affordable, appears to be in good shape and comes complete with an interesting back story. 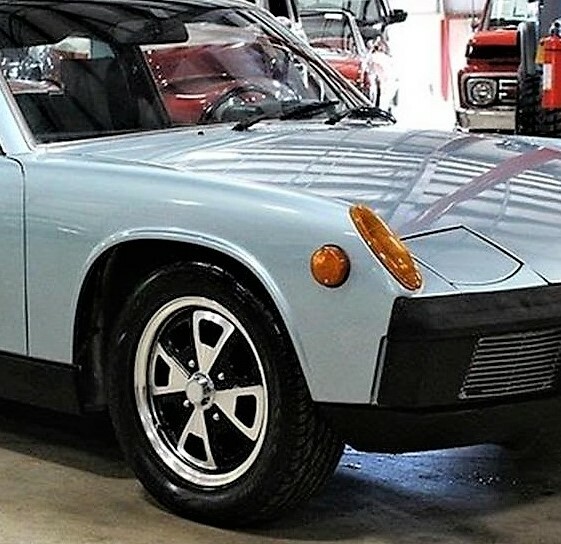 According to the Kentwood, Michigan, dealer advertising the Porsche on ClassicCars.com, the Marathon Blue 914 was purchased in July 1974 by a lady named Rhonda Campbell, reputedly as an act of vengeance against her ex-husband. But she only enjoyed the car for a year before trading it back in to the dealer. After passing through a few owners in southern states, the Porsche was acquired in 2011 by a Georgia man who drove it and maintained it well, the seller says. “Less than a year ago, he decided to invest some money into the car and had the car stripped down and repainted in the factory color and had the wheels fully restored, new tires, new carpet kit, new headliner, and center console restored,” according to the listing. Further enhancements included new exhaust headers, new fuel pump and distributor, and the car was converted from fuel injection to carburetors. Happily, the factory fuel-injection system comes with the car. These FI setups actually work quite well and usually function better than carbs when in proper working order. 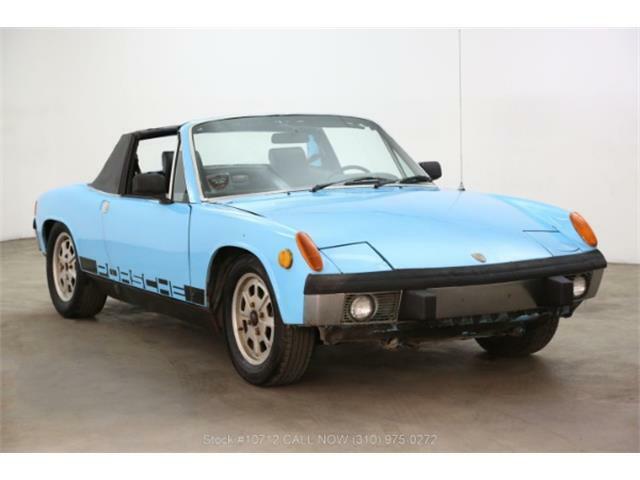 This 914 also comes with air conditioning, a rare option on these cars, that the seller believes was installed by the delivering dealer. The Porsche also includes a working factory radio, another rarity in these cars. The 914 is well documented and still has its factory manuals with dealer stamps. The car looks sharp in the photos accompanying the ad, with a gleaming paint job and decent interior. 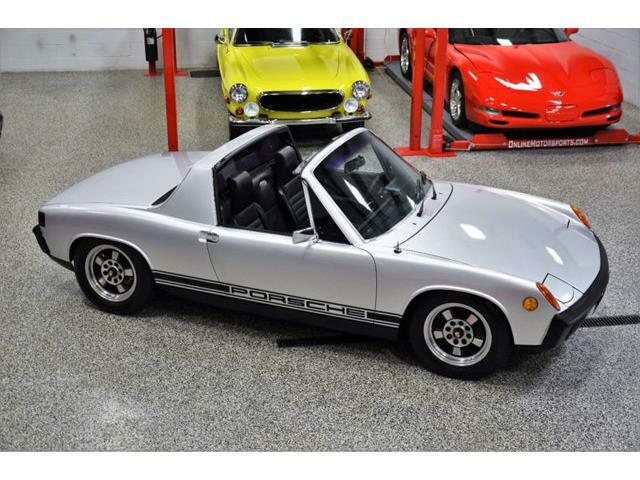 If you were looking for an inexpensive Porsche a few years ago, you would naturally head toward a 914 because their prices were even less than that of a naturally aspirated 924. 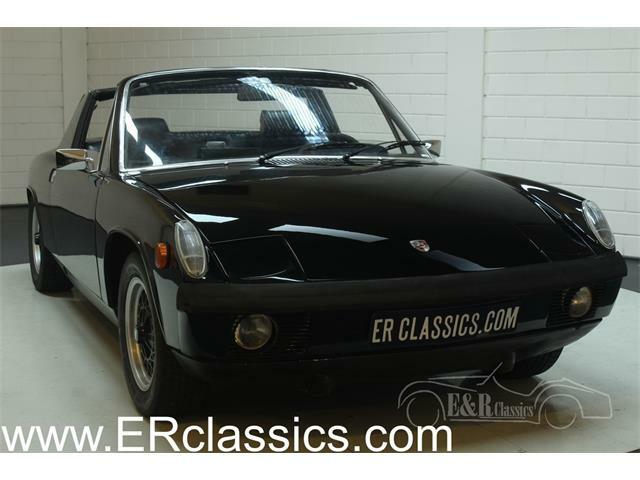 Those days are over because the 914 is finally getting the respect it is due by other Porsche owners, so the cost of buying one has increased. 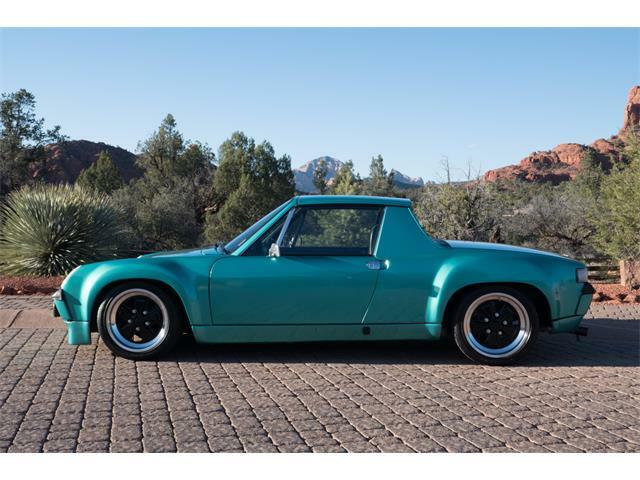 On a positive note, the 914 still wins the prize as the least-expensive classic Porsche road car to maintain with practically any job doable by a motivated owner with the proper books and tools. 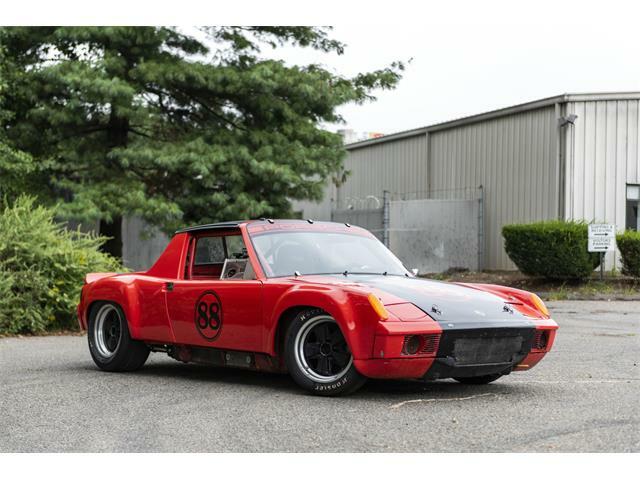 When you consider that Porsche 914s still seem to be climbing in value, this one at an asking price of only $18,900 looks to be a decent buy. 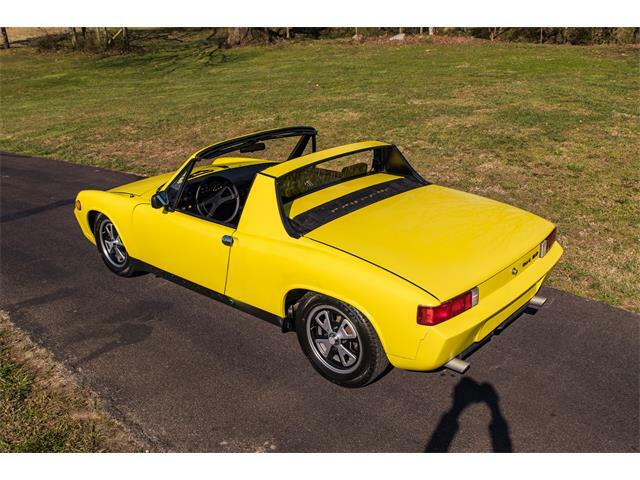 The 914 always has been a real Porsche, and it offers a great combination of 100 mph-plus capability, economic running costs, awesome handling (superior to the 911 of that era), all in a car that is immensely fun to drive on sunny days with the top removed.